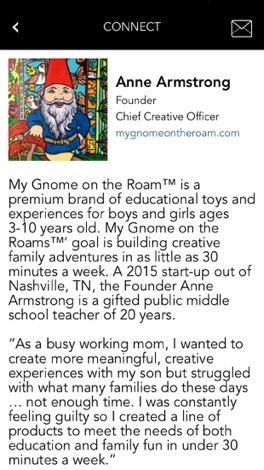 My Gnome on the Roam offers daily inspiration for building family "together time" into even the busiest days. 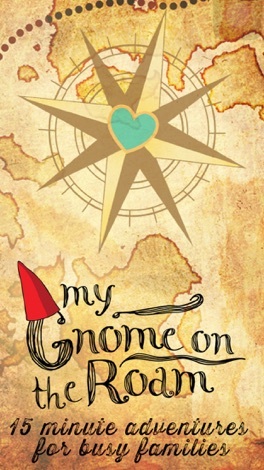 With this app and as little as 15 minutes, you can build stronger, happier and deeper connection with your kids while encouraging creativity and exploration. Transform family time into an art form. 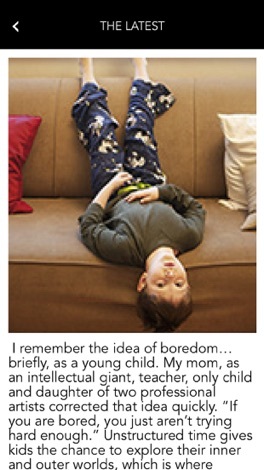 • Actually, build new neural pathways in your child's brain (and yours as well)....more neural pathways=greater access to all the smarts you have locked away in various parts of your noggin! Our daily messages will be focused on adventures....a new one each day. And each will be an invitation to explore, create, contribute and connect. 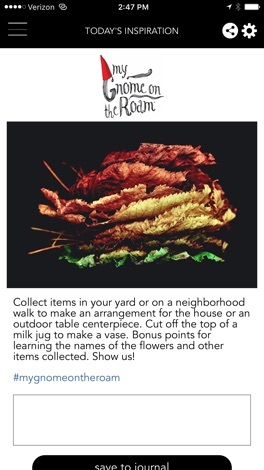 From crafts to recipes to random acts of kindness, we will give you endless ideas from which to choose. Make something on Monday, Tell me a story on Tuesday, get your Wanderlust on Wednesday....you get the idea. Meta-research shows that as little as 10 minutes of engaged connected time with family increases grades, self-esteem, lowers a child's chance of experimenting with drugs, alcohol, and can even improve behavior. Utilize este aplicativo para exercer a sua cidadania informando ao Ministério Público sobre ilegalidades/irregularidades que você tenha conhecimento.